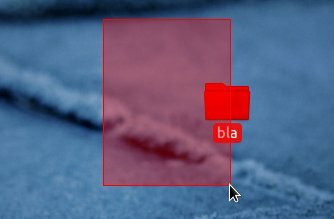 The color of selection elements in themes used by Ubuntu 12.04 is determined by a single value and is therefore the same for all of them: highlightened buttons, files, menu items as well as the selection box that you get by holding and dragging your mouse. The value that determines selection color is nselected_bg_color - it is formated as hexadecimal value (#000000). You can now use a graphic editor to find out the hexadecimal value of the color you want to use - if you wanted to use red for example, you would have the value #FF0000.